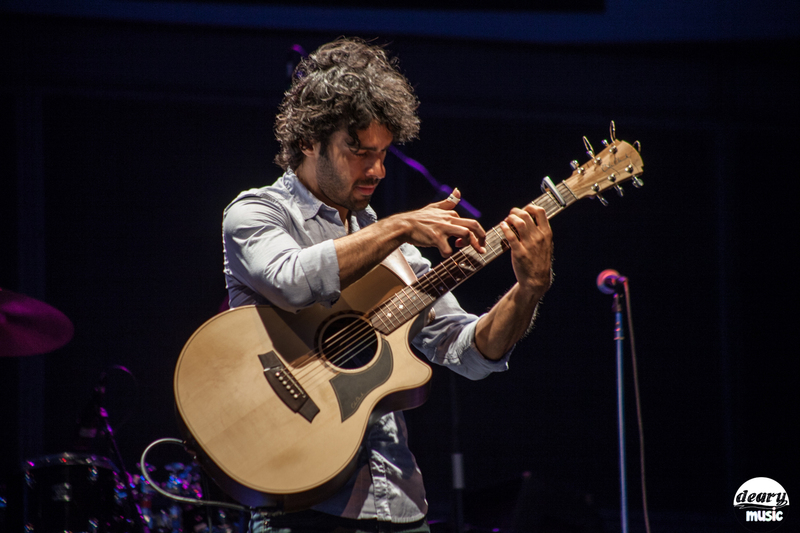 Maneli Jamal is a Toronto based, Canadian acoustic guitarist but before he moved to Canada, he pretty much travelled the whole world. You will find his interesting stories between the lines of his songs. We were really excited to watch his show on August 15th 2014 at the Harbourfront Center, but unfortunately we were a little bit late for the show. Mustafa always bikes so it was not a problem for him, but I had to take TTC, so it was a big challenge during rush hour. We arrived at the venue before he started playing a piece called “Most Glorious Day” which has a quite interesting story. During the show, Maneli told us little anecdotes about his songs. He said, Canada was the first country where he became a citizen and after the court day, he decided to make a song about his experience. “Most Glorious Day” has a beautiful and deep story but we don’t want to mention what it’s about because we’d definitely recommend you to see his live performance. Then he played Zim Blues, Us Against Them, Ziur, On the Run and Awakening -we are not very sure about the exact order- Us Against Them is one of his greatest songs which carries an interesting story. Maneli and his family used to live in Unites States for about 9 years, and then one day they received a letter from US immigration that asked his family to leave the country in a month. The song definitely makes you feel his sadness and fragility and maybe a little bit anger. Basically, every song has its own story, which makes Maneli is a unique musician because the audience can listen to his beautiful tunes with interesting stories. 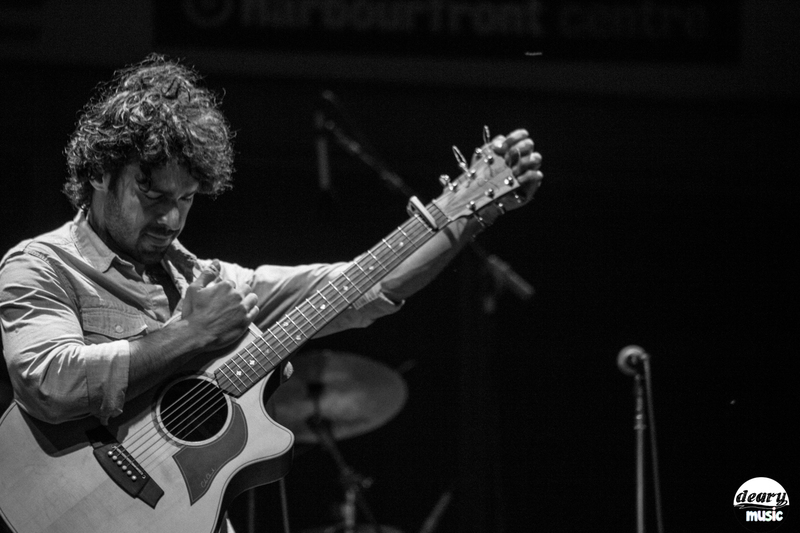 Maneli was in full storyteller mode, which we saw at the Harbourfront Center once again. Most of the songs he performed were from his previous albums or his latest album called Lamaj Movement, but there was also a brand new one called Zim Blues. He said he was really inspired during his Zimbabwe tour. This piece particularly sounds pretty different than his other pieces. It is a heavily blues-influenced tune with some percussive use of the guitar. If you would like to hear this song, you can find it on his Youtube channel. It is difficult to write about a talented musician and we have to say Maneli’s live performance is amazing. The way he played and communicated with the audience was fabulous. We did not hear any mistake during the show which is not quite possible during live performances. If you are curious about his music you can check our video out. We highly recommend you to see his show, because he is a great talent! Posted on September 17, 2014 by deary music	This entry was tagged acoustic, deary music, finger style acoustic guitar, folk, guitar, indie, Instrumental, Maneli Jamal, music. Bookmark the permalink. He’s mesmerizing. Thanks for the share guys! We’re glad to hear that Richi!